It’s still in pilot phase, but Gary Reblin, VP of new products and innovation at the U.S. Postal Service, is optimistic about both the early results and the potential for his new venture. It’s an open secret that postal services around North America are searching for ways to remain significant amongst the digital revolution currently dominating the minds of many consumers. 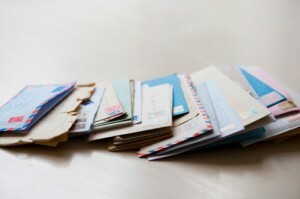 And though direct mail itself is still a force in the world of marketing, it will take more than that for the postal service to keep pace and reinvigorate its own growth. With that in mind, finding ways to team technology with mail instead of fighting that same technology is a route worth exploring and one which has shown promise. Reblin believes the results of the U.S. postal service’s latest Real Mail Notification (RMN) venture is further proof that both technology and mail can work successfully in tandem. The fact that the U.S. Postal Service already took pictures of nearly every piece of mail they touched is what lead to the RMN concept. How they turned that into an actual venture is by deciding to e-mail customers every morning at 8:00 a.m. a picture of what they’ll be receiving in the mail that day. The pictures would only be in black and white, but the potential for added engagement captured the interest of Reblin, and the campaign was launched. A test run in Northern Virginia of about 6,600 people showed amazing results. Over 90% of those who received RMN opened their e-mail within the first two hours. This lead to a 37% lift in direct mail campaigns and an eye-opening 5.9% response rate. The real test will come in the fall once RMN launches its formal pilot in New York. The service will be available to residents of all boroughs which will hopefully give Reblin an indication of how it will perform on a national scale. Innovation is part of marketing, be it direct mail or any other medium. The goal is to find a system that works and that can be different with each organization as this example has proven. Macromark has been facilitating successful direct mail marketing campaigns for close to 30 years. We know what it means to innovate and utilize technology as well as all other resources around us to achieve the results we set forth. For more information on what we can do for you, please visit our web site.